Blueberry plants need to grow in acidic soil with a pH of 4.0 to 5.5. They grow best in full sun and well-drained soil with regular water. They are often grown in 30-to-40 gallon containers with potting soil enriched with peat moss. A mature blueberry plant can produce up to 15 lbs. of blueberries per season. There are southern and northern types of blueberries. The southern type is considered the best type to plant in East Texas. Plant at least three different varieties that produce berries at the same time for good cross-pollination. 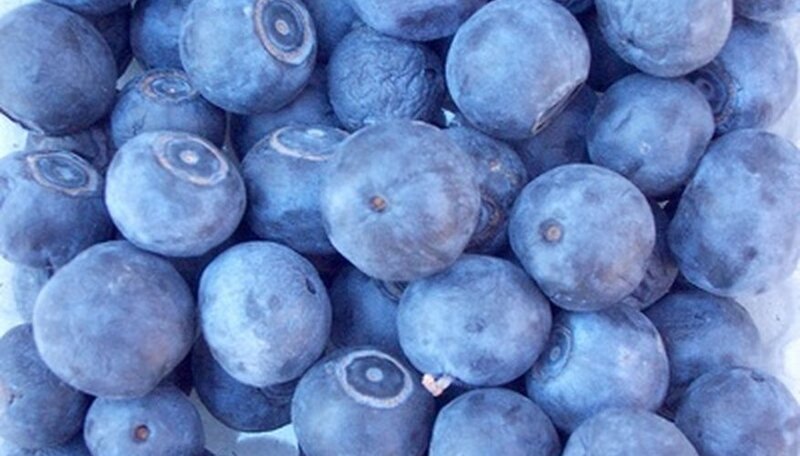 Tifblue is less likely to be damaged by cold weather as some of the other blueberry varieties. The berries produced are light blue and larger than the berries from other varieties. Tifblue produces berries in mid-late season, which is the first of July. The Climax variety of blueberry plant produces blueberries early in the season, which is May. The flavorful berries hold their flavor for a longer time after planting than some of the other varieties. The Climax berry is a favorite to use in cooking, and the berries produced are large-to-medium size. Because of the early flowering schedule, blooms on the climax blueberry bush are susceptible to late freeze damage. Woodard produces a large, high-quality, slightly-tart berry. It is a reliable producer suitable for planting in warmer regions because it does not need very many hours of cold weather to encourage production. Woodard blueberry plants are larger than some other varieties and they produce berries in early-to-mid season. Briteblue blueberry plants are mid-season producers of large, high-quality fruit. The plants are vigorous and fast growing, and are considered consistent producers.